Diviniti Homes is one of the popular residential projects developed by Diviniti Homes. this project offers thoughtfully constructed 2BHK and 3BHK apartments and 4BHK villas with basic amenities for the comfort of residents. Adding to this, it is situated close to the market, hospital and many educational institutions. What is the project location?The project is located at Indira Nagar, Kanpur. What is the area of apartments in Diviniti Homes? The area of apartments offered in the project ranges from 1055.0 sqft to 1721.0 sqft. How much is area of 2bhk in Diviniti Homes? 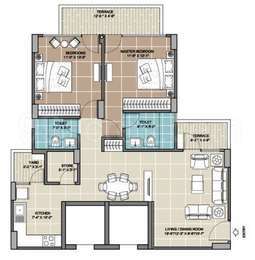 Two-room units (2BHK) in the project are available in an area of 1055.0 sqft to 1287.0 sqft. What is size of 3 bhk in Diviniti Homes? The area of 3 BHK apartments ranges from 1335.0 sqft to 1721.0 sqft. What is the total area of Diviniti Homes?The project spans across 6.0 Acres. What is the 3 bedroom price in Diviniti Homes? The project offers 3 BHK units for 7500000. 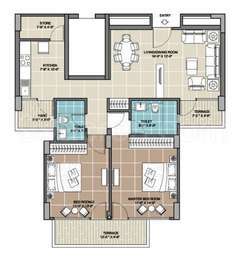 I am planning to buy one flat in Divinity Homes 3 BHK. Please let me know the availability & cost. Hi Divya, there are flats available for sale, you may contact the property owners beneath the pricing section. Will cost about 63 lakh for ready to move in 3BHK flat of about 1700 square feet.